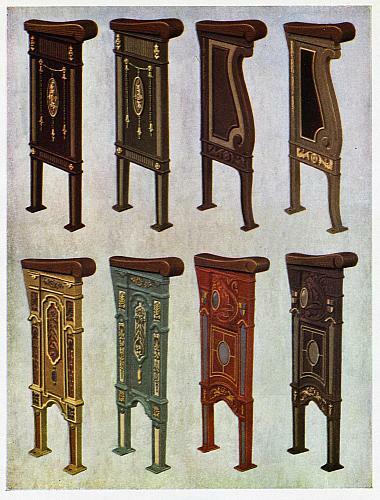 A selection of eight end-panels for theater seats are illustrated in the Irwin Seating Catalog. The top row displays less elaborate designs and more subdued colors, which do not have embedded aisle lights. 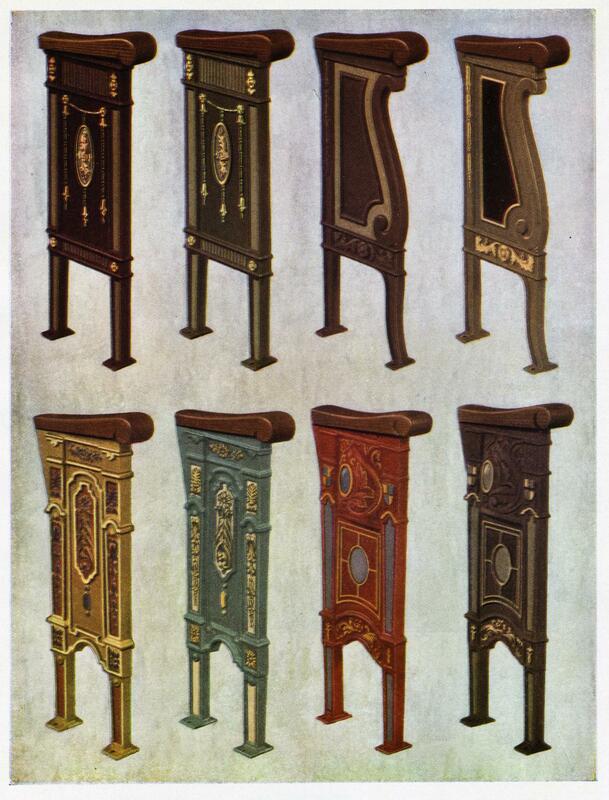 The four examples in the bottom row offer more color variation and more elaborate decoration. The two samples on the lower right do have aisle lights. The panels were featured on page 32 of Irwin Seating Co. Catalog #32. Trade catalogs provide wholesale customers with important information about the company's available products.